This coming November 14-15, 2016, get the chance to catch one of the best Branson shows at the Starlite Theater with Jimmy Fortune performing his limited live concert for country music lovers. Jimmy will be showcasing his breathtaking tenor voice and his uncanny ability to crank out a string of #1 hits which makes him a force in the music industry. As the incomparable performer of the Statler Brothers fame, Jimmy racks a list of artists that you must see in the new BootDaddy Concert Series presented this year 2016 at the Starlite Theater. With his steadfast love to music, Jimmy is continuing to pursue his own career with several new albums and singles performed as part of a phenomenal new live Branson show. During his 21 years time with the Statler Brothers band, Jimmy racked up enough awards for the title, “The Most Awarded Act in the History of Country Music.” As a member of the legendary Statler Brothers, he quickly lived up to his name. Jimmy wrote the band’s second No. 1 hit, “Elizabeth,” on their 1983 album “Today” and followed it with two more No. 1 hits – “My Only Love” (from 1984’s Atlanta Blue) and “Too Much On My Heart” (from 1985’s Pardners in Rhyme). He also wrote the top-10 hit “Forever” from 1986’s Four for the Show and co-wrote the top-10 hit “More Than a Name on the Wall” from 1988’s The Greatest Hits. In October 29, 2007, Jimmy Fortune and The Statler Brothers band were inducted into the GMA (Gospel Music Association) Hall of Fame, and into the CMA (Country Music Association) Hall of Fame in June 29, 2008. Jimmy’s first solo CD, “When One Door Closes” was released in August 2003. He has also released a gospel album, “I Believe” in June 2005, a Christmas CD “Feels Like Christmas” in 2006, a live concert DVD in 2007, and another country CD “Windows” in 2009. Jimmy Fortune will perform also at Larry’s Country Diner. His performance offers an exciting live show for the whole family to enjoy together while spending a wonderful vacation in Branson. Guests can have the chance to see the talents of the legendary musician, singer, recording artist and performer, Jimmy Fortune, with his guitar playing and charismatic stage presence. Jimmy Fortune has performed in most of the U.S. States, including Canadian provinces, and in front of audiences as large as 100,000. He was also a part of the Statlers’ annual Happy Birthday USA celebration in Staunton, Virginia for 14 years. Jimmy also sang on many of the Statlers’ gold, platinum, and double platinum recordings. He also had the privilege to perform at the White House on two occasions, once for President Ronald Reagan, and once for President George H.W. Bush. 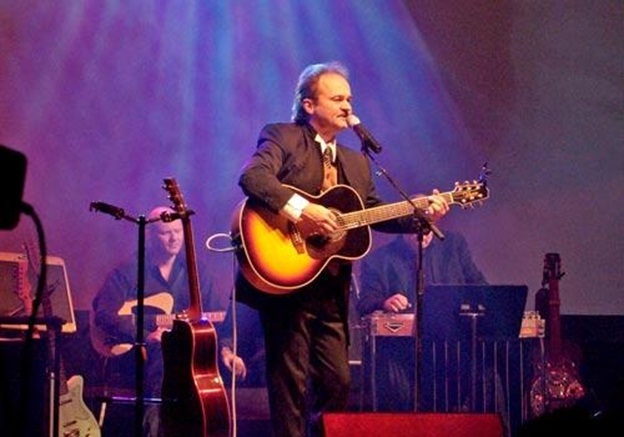 When the Statler Brothers retired on October 26, 2002, Jimmy Fortune grabbed the opportunity to launch a solo career to share new music with his fans. Now you will see him at the Starlite Theater in Branson this coming November.